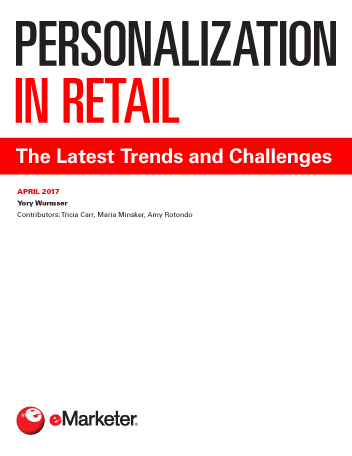 Most retailers have embarked on some form of personalization strategy. As they seek to expand beyond entry-level tactics, they often run into structural obstacles that keep data and teams in silos. Getting past these barriers will allow for full personalization of the customer experience. Personalization is effective: According to one study, 48% of US marketers reported that personalization on their websites or apps lifted revenues in excess of 10%. Only 11% reported no lift. A recent survey found that 55% of US internet users ranked Amazon as the digital platform having the best personalized customer experience. As Amazon and other companies, such as Netflix and Google, have built customer experiences around customized recommendations and content, other retailers are struggling to keep up. The retailer challenge is amplified by the move to mobile shopping, where consumers browse far fewer products and expect relevant suggestions. Integration of data across devices, channels and functions is essential, but most companies lack this capability. Data from customer relationship management (CRM) systems is often the hardest to tap for personalization purposes. Personalization is as much about the right moment as it’s about the right offer or information. Email remains the most common channel that retail marketers personalize. One study found that two-thirds of US marketers personalized email content, followed by 56% that personalized elements of their website. "Personalization is widespread, but techniques remain relatively basic. Roughly 90% of senior marketers worldwide are implementing personalization strategies, but only 6% rate their strategy as advanced."